Patrick Swayze lost his battle with cancer yesterday, and though he will be recalled for his roles in Dirty Dancing, Roadhouse, and Ghost, his appearance on SNL is probably my favorite memory of his career. 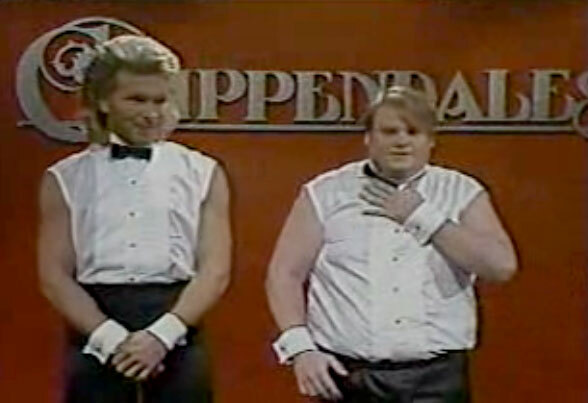 Set to Working For The Weekend by Loverboy, this amazingly choreographed performance by Mr. Patrick Swayze and the great Chris Farley always brings a smile to our faces here at Songspeak. We also want to take this time to recall another deceased actor, Jerry Orbach, who might have put baby in a corner if it weren’t for Patrick Swayze’s character in Dirty Dancing.